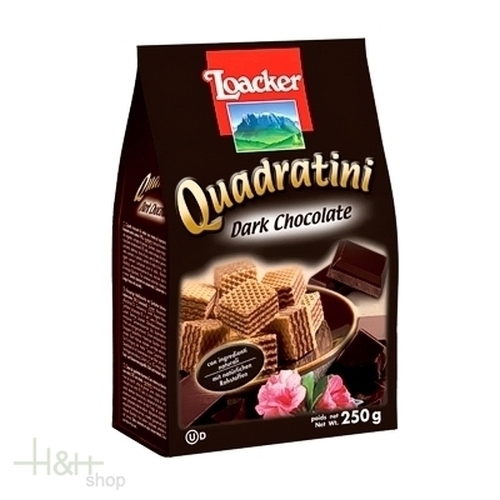 Quadratini Super-Size Pack: 250. Once open, you'll never close it! Allow yourself an exotic moment of sublime pleasure. For you, a fresh shower of real coconut flakes on delicious milk chocolate, in a triumph of exquisite coconut cream held between light, crispy wafers. Wafer classic Vanille 45 gr. - Loacker 1,15 EUR / 2,56 €/100 gr.